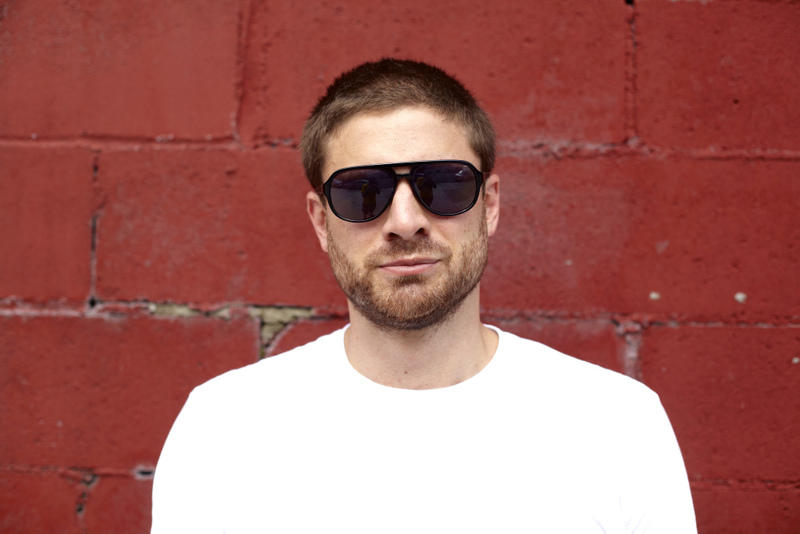 Adam Partridge, aka Atropolis, is an accomplished producer, DJ and Dubspot instructor. 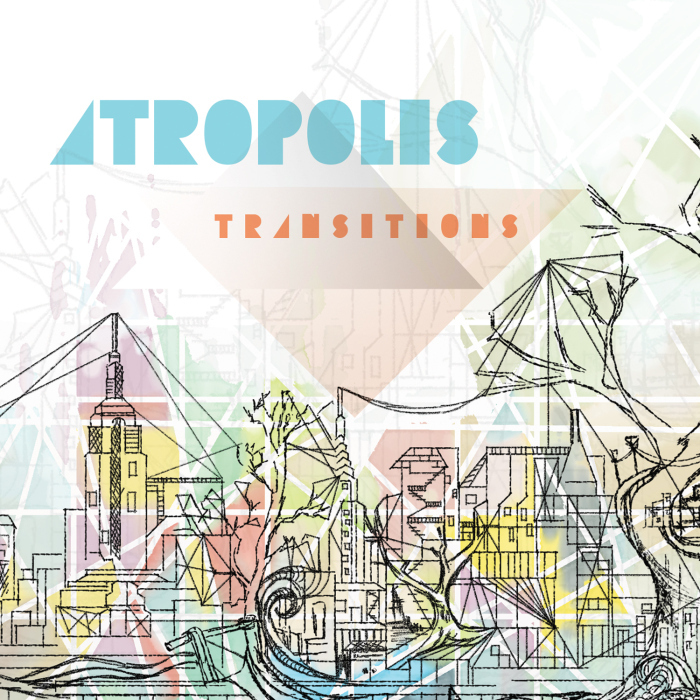 Following the recent release of his new full-length album Transitions, we had a conversation with him to learn more about some of the techniques used to create the record. We also spoke about his recent US tour, how he prepared his DJ sets; and what’s next on the horizon. NM: How long did it take to complete Transitions? Atropolis: It took about a year and a half. LIfe is busy, as an independent artist we usually have multiple means of income, between DJing, producing, remix work, teaching, and just life itself. Also, these larger projects take time. Some tracks take a couple days, others maybe a month. The tracks that feature vocalists, sometimes it takes them 3-6 months just to lay down their parts. In today’s world, where many electronic acts are releasing singles and EPs, what was the significance for you of making a full-length album? Today there is an obvious energy shift towards EPs due to our fast-paced society–iPods, iPhones, shuffle mode, the ability to carry thousands of tracks in your pocket. Depending on the artist and the listener, I think one format might be better suited than the other. With the industry swinging towards the EP, most of the artists that I love are not putting out full-length albums. Most of them, not all of them. And for me at the end of the EP I’m like “hey, I want some more.” The idea of sitting down and listening to an album from front to back is less common these days. I even gravitate towards playlists and not really fully engaging in an entire album–depends on the mood and the space I am in. So, for me the album has many significant aspects. One being that, as an artist, I enjoy the challenge of pushing myself and seeing what I can create, how I can create it, how I can put together a full piece of work. That’s the main drive. I need to make music, it is who I am and what I am here to do, so it fits my creative work flow. Some producers can’t sit and create an album, its not a part of their voice. I would like to explore EPs, just to explore other sounds and voices and make it short and sweet. I think they both serve their purposes. Albums, I find, speak very loudly compared to the oversaturated EPs that are one song with four or five remixes. Albums, however, take time–and today the listener just wants, wants, and wants. I’m not too concerned about that. What attracts me to EPs is that there are certain moods or small sets of tracks that work really well together–they are moments that don’t necessarily call for five to eight additional tracks. Overall, the significance of a full length album is the love of making music. Its tough, because people are just buying one or two songs off an album these days. But like I said before, I don’t care about that–the LP is for me. It’s for me to get my energy out, push myself, and grow as an artist. Can you tell us about your workflow and process in the studio? I would say 85% of the tracks on the album–maybe 90%–start from nothing, absolutely nothing. Which I think is something people who are starting to produce need to understand. 90% of the tracks usually come from me saying, “OK lets do this.” I usually start with a rhythm, some kind of tempo, and an influential style or sound I am aiming for. The first four to eight hours are usually the toughest, and can be quite the emotional journey of doubting yourself as a producer, doubting your skills, and thinking that whatever your making is absolutely rubbish. You even begin to question if what you are making is even music. Usually by the eighth hour, or the second day, the light shines through and things start falling into place. The excitement that keeps us going lights up like a huge flame of inspiration. The other 10% of the tracks just come and I am done in a day with no problem, no stress. Just boom, done and done. On the production side, Ableton’s Operator and Simpler are my go to tools. I absolutely love them. When it comes to percussion and shakers, I have a wide selection of shakers that I collected throughout my tour in Colombia, that I record and play quite a bit. I also have a huge sample collection of stems from folkloric artists from Colombia who’ve I worked with–I’ll take a note from a instrument known as the marimbula, which has a gorgeous bass feel. I’ll bring that into a sampler, shape it up and design a really fat sub bass sound. That is usually my favorite way of going about my synth sounds–sampling sounds from the acoustic world and shaping them into pads, leads, bass, drums…. I have some flutes from Argentina and Colombia that I also play, sample, and flip. For the heavy kicks and snares I am working with different sample packs that I find on the web. What DAW do you use and what are some of the features you find most useful? Ableton Live. I started with Digital Performer 5 when I was 15, went to Pro-Tools, and then Sonar. Once I decided to give Ableton a shot it just clicked . The workflow is amazing, I can just move fast in it. The others DAWs did not fit my way of thinking, so the time to figure stuff out would eat away from actually making music and getting ideas out. Ableton just allows me to express myself immediately with minimal ease of the technical aspects. You recently completed a coast-to-coast tour in support of the album. Can you give us some highlights? LA and San Francisco were amazing. Jeremy Sole, who throws the Afro Funke party in LA, hosts his event at a great venue called Zanibar, which has a good sound system, great atmosphere, and the people just come to throw down. So all the elements were there, which is hard to come by. Sometimes the space is great but the crowd is weird, or the space isn’t so great and the sound is not so great but the crowd is amazing. Its exciting when you have a good sound system, a nice club, and a great crowd. You really cannot ask for more. San Francisco was a blast, got to play two events, Tormenta Tropical and Afrolicious. Both were a blast. Rocking it with Afrolicious was definitely a highlight. They are a Bay Area Afro-beat band who can throw down, so it was cool having some of the percussionists accompany me while I did my thing. It was exciting to do Radio Valencia, which is a proper pirated radio station–founded by a group of DJs who built the studio themselves. I am not sure how often the antenna is moved. The fan base moves the antenna around San Francisco so they cannot get busted. Its a proper FM station that you can tune in. I am huge fan of underground movements and community. Chicago was great, in the sense that I got to see producers, DJs, and crews that I really respect and dig. We had the Peligrosa crew from Austin, Texas, DJ Panamami from LA, and the amazing hosts FEx. I was the most excited about this gig because it was at a crazy warehouse space, which are my favorite venues to play. My DJ roots are deep in the Brooklyn underground warehouse scene. The only thing that sucked was the cops shut it down before it even started. So regardless, it was great seeing and kicking it with the people I mentioned above. How do you prep your own songs for performing them or DJing? Do you make alternate edits? I do not always prep my songs– it depends on the gig. When I began DJing, I was like, “oh man, I just want to play my stuff.” But for me at the moment that’s really boring. When I DJ, you’re going to hear a colorful array of all the types of music I love. Thats what I enjoy about DJing. I finally accepted it. Coming from a classical and jazz-trained background, I used to look down on the DJ. It was ignorance on my part. Searching for my musical voice, what I love about producing and DJing, is I have the freedom to express different moods, styles, and genres. As an individual, I am limited to my voice and what I am capable of putting out. I like being able to “quote” other producers, and mix them with my tracks, and just go all over the place. There are several collaborators on the album. Can you tell us about the process working with them? The second instrument track,”Pacifico,” features Brent Arnold who is a master at the cello. I reached out to him through Dutty Artz, a label I signed with about 2 years ago. I just went to his home studio and recorded his parts. You are also an instructor at Dubspot. As an artist, what is most exiting about teaching here? Dubpot is an amazing community of talented people. As for me, I am coming from a very academic back ground in music compositions, music technology and ethnomusicology; what I love about dubspot is it’s real world stuff. My education was great, however it did not prepare me for the real world of the music industry. Dubspot for me represents how music should be taught. I’ve seen some amazing collaborations between students that were born through their attending Dubspot. Not to say, once you complete Dubspot that’s it–you’re made. No, that’s a very small step. You have to put in a lot of work after you leave Dubspot. But to be in an environment where all the teachers either run their own label, are internationally touring artists, have multiple releases, Dubspot instructors are really doing things in this industry, I think that is a great place for an aspiring producer to come to. The community itself is very inspiring. And what I love about teaching is it is allowing me to really master my Ableton skills. I just launched my own label, Cumba Mela with my cousin Thor (a.k.a. Thornato), and a good friend of mine Mike Tummolo, (a.k.a. 2melo). We have maybe one to two more releases that will come out Fall 2013, so keep an eye out. And we definitely have some projects lined up for 2014 as well. This summer I put out two albums. One was a compilation I curated with Geko Jones and Lucas Silva, founder of Palenque records. The album is titled Geko Jones and Atropolis Presents: Palenque Remixed. That was put out on Dutty Artz this past June. And now I just put out my second album on my own label Cumba Mela. These two projects have been living with me for the past two years now, so I am happy that they are now out in the world. As a producer, you need to take space after getting a lot of work out, we have a tendency to lock ourselves in our studios and forget how to interact with the world. So its good to take space, live life, go see music, just live and absorb your surrounding experiences. Thats the only way I can continue to create and make the music I make. So even though I’ve been busy this summer with two releases and a short tour, I haven’t been producing to much. So come September I am excited to start working on my next body of work which might be more geared towards a series of EPs. 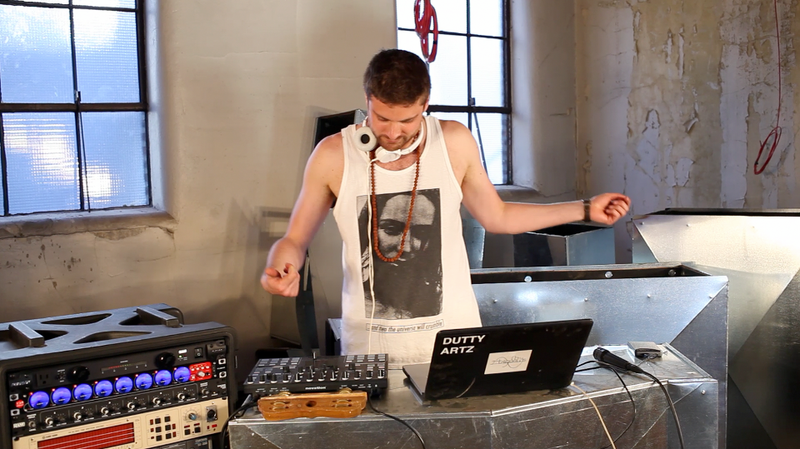 « DJing with Traktor Intensive Course – Learn DJ Concepts and Techniques in NYC + Online!